**Update for 2019** Exhibitors are eligible for a complimentary furniture package provided by ASTRA. 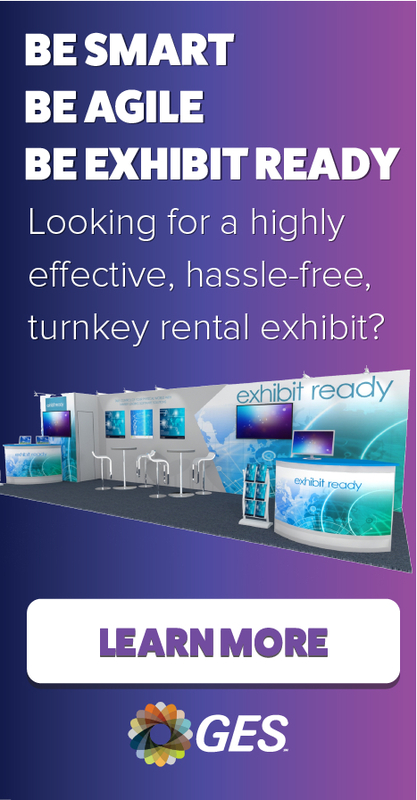 To receive the booth package, exhibitors must OPT-IN to the package by completing the Booth Package Request Form. This form is required to receive the furniture package. The exhibit hall is NOT carpeted. Only the aisles will be carpeted in Pepper (black/white speckled) carpet. ***Please note that all exhibitors are required to have floor covering/carpet in their entire booth area. *** Please select the Booth Furnishings Rental tab to rent carpet for your booth. Note: Any booths without flooring installed by Sunday, June 9th, 2019 at 3:00 PM will be carpeted by GES at the exhibitor's expense. PLEASE NOTE: There is no Return to Warehouse option for this show. If freight is left on show floor or not picked up by your designated carrier after the show it will be re-routed and shipped GES Logistics. Thu. Jun. 13, 2019 Carriers MUST be checked in by 10:00 AM PLEASE NOTE: There is no Return to Warehouse option for this show. If freight is left on show floor or not picked up by your designated carrier after the show it will be re-routed and shipped GES Logistics.